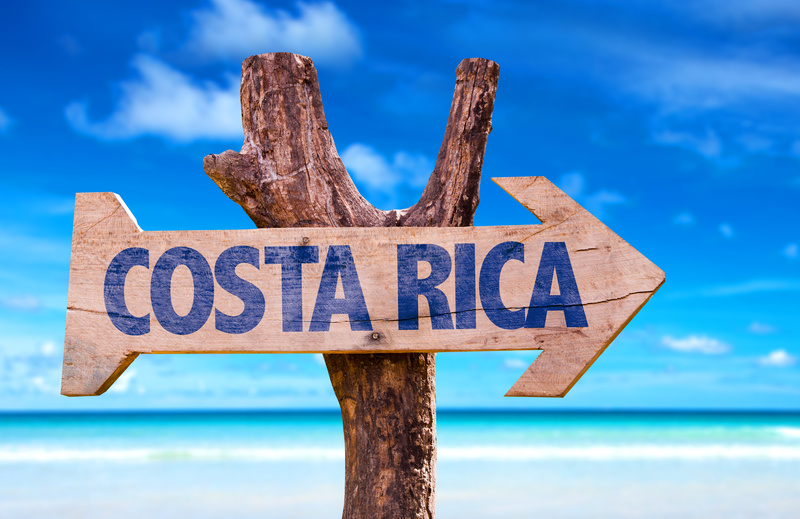 Costa Rica is located between the Caribbean and the Pacific Ocean. If you’re looking for top quality diving, then the Pacific side has all the ingredients for a great diving holiday. 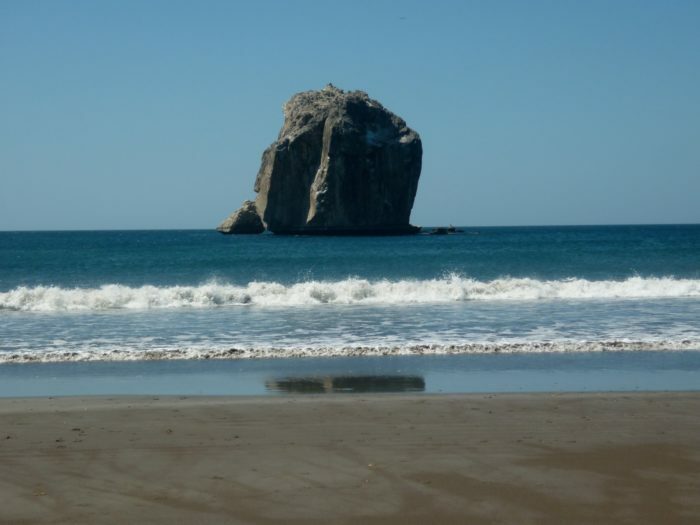 On the northwest side of the Pacific coast, you’ll find Catalina Islands, Bat Islands and the Gulf of Papagayo. In the southwest of the Pacific, you’ll find some great dive spots around the Cano Island. However, if we had to pick one place, that encapsulates all that Costa Rica has to offer under the surface, then it would have to be the Cocos Islands. The Cocos Islands are approximately 300 miles off the mainland and a UNESCO World Heritage Site. This is a world-class dive site and is the perfect place to see Pelagics including Marlin, Sharks, and Sailfish, which all visit these islands to feed and mate. The Cocos Islands are also home to Hammerhead Shark schools and even Whale Sharks. Because of its remoteness, the only way to dive at Cocos Island is a liveaboard diving trip. The sea temperature around Costa Rica ranges from 21oC to 29oC. The dry season in this area is from November to May, however, if you do visit Costa Rica around this time, prepare for strong winds. Hammerheads frequent the area around the months of June to November, which is the rainy season. Costa Rica offers a wide variety of experiences, both topside and under the surface. If you’re traveling with family who are looking for adventure other than diving with Bull Sharks and abundant marine life, then why not speed through the rainforest on a zipline or try surfing at Witches Rock? If you have time, why not try surfing at Witches Rock? Costa Rica is home to some of the most biologically diverse habitats found throughout the world. These diverse habitats include volcano’s, rainforest and mangrove ecosystems. From the underwater volcanic rock formations, pinnacles and the sheer variety of hard coral, soft coral, sponges, and gorgonians, it’s not hard to see why Costa Rica is classed as one of the top diving locations around the world. 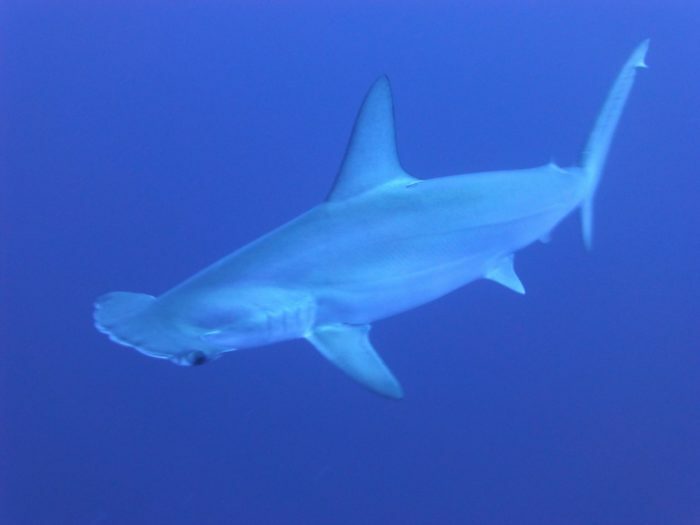 Diving around Cocos Island, you’ll come across Hammerhead Sharks and so much more. This diving location is home to a rich underwater diversity, which in itself supports over 25 species of fish, which are endemic to the area. 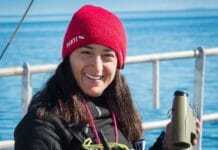 Pelagic species use these nutrient rich waters to feed and mate, and Whales use these waters to calve. Due to its location, Cocos Island Marine Park takes quite a while to get to, so it’s usually suggested that divers join a liveaboard. The temperature of the water ranges between 24°C and 26°C. However, due to the presence of frequent thermoclines, it is recommended that divers wear a wetsuit of at least 3mm. Visibility around Cocos Island is between 6m-25m. The marine life found around the area includes; White Tip Reef Sharks, Dolphins, Octopi, Eels, Hammer Head Sharks, Red-lipped Batfish and so much more. If you’re traveling to Costa Rica, make sure you don’t miss out on a liveaboard trip to Cocos Island. 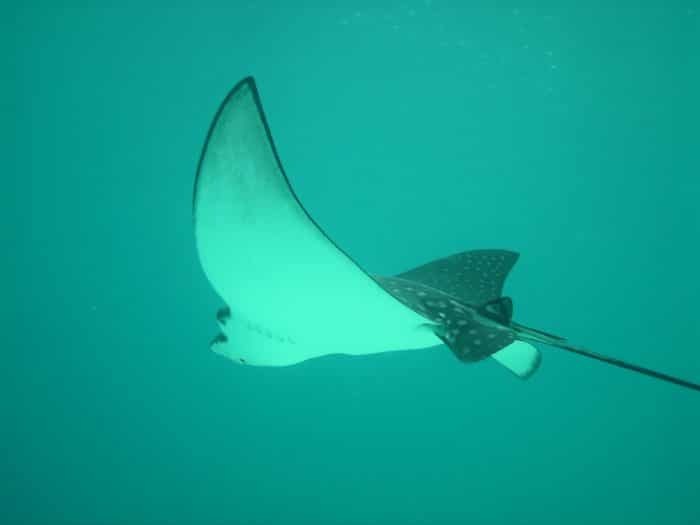 Keep looking up whilst diving at Big Scare dive site and you might see some Eagle Rays gliding above you. If you class yourself as a bit of a thrill seeker and are looking for an adrenaline-pumping dive, why not try diving with Bull Sharks off Bat Island? This island is also home to large Pelagics, including Sailfish, Manta Rays as well as the occasional Dolphin or Whale that may pass by. This diving location drops to well over 30m and is home to some serious currents; so advanced divers should only attempt this dive site. Visibility in this area can be anywhere between 7m to 23m. You’ll find a wide variety of marine life at this location including Seahorses, Devil Rays, Eagle Rays, Manta Rays and Bull Sharks. However, keep a lookout as Whale Sharks also like to visit this area. 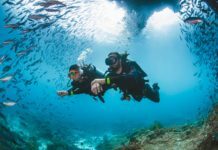 Although there are some dive centers offering diving trips in a daily format, the best way to dive at Bat Islands is a 7-night liveaboard diving trip. Join Okeanos Aggressor I or Okeanos Aggressor II to explore this protected area. There are only several months a year Aggressor Fleet Liveaboards offer this itinerary, so it’s always better to plan your vacation in advance. 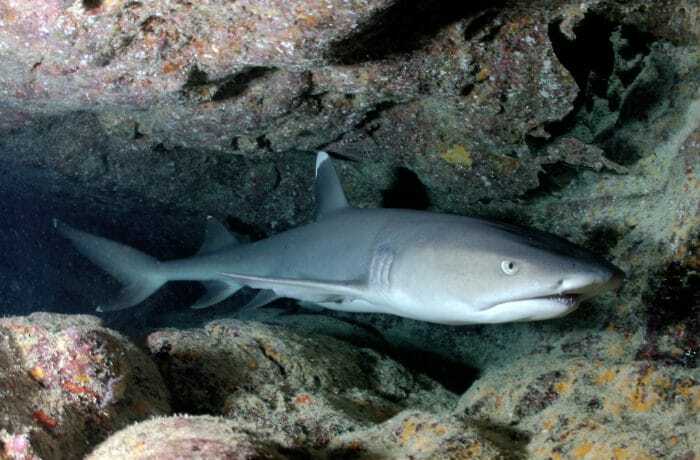 You’ll find many White-Tip Reef Sharks around the Catalina Islands. 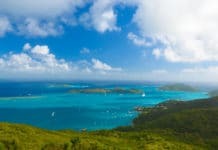 This top diving destination is made up of 6 dive sites. These dive sites are not only known for the large Pelagics that visit this area but also the stunning natural and unique, underwater structures that surround the Catalina Islands. You’ll find stunning arches, caves, caverns and colorful coral, which is growing off incredible volcanic rock formations. The Catalina Islands are located in the Gulf of Papagayo, just off the shore of Flamingo Beach and Playa Ocotal. It’s common to see White Tip Reef Sharks and Marine Turtles in this area, as well as Moray Eels, Giant Grouper, Manta Rays, Yellowtail Surgeon Fish, Snapper, Yellowfin Tuna and so much more. Visibility is usually between 5m and 35m. Located in Drake Bay, on the northwest side of the Osa Peninsula, Caño Island is found in one of the most bio-diverse regions of the world. Due to the incredible wildlife both on land and under the surface, Caño Island has to be on your bucket list. This is a great location to see Manta Rays as well as incredible underwater topography consisting of shelves, plates, drop-offs and large, busy reef systems, surrounding the island. 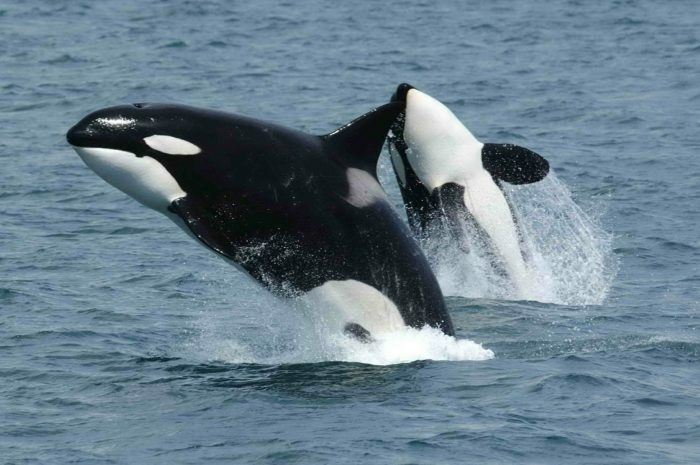 Additionally, this is a great place to see free swimming Moray Eels and a whole range of other large marine mammals including Orcas, Dolphins, Pilot and even Humpback Whales, which have been known to sail through this area due to this island’s remote location. If you choose to dive the sites around this island it is usually a better option to find a diving resort that is in close proximity such as Pirate Cove Hotel that is a PADI accredited resort where you can either develop your skills or go out on their Scuba excursions.  Or you might prefer choosing a liveaboard for a “dive, eat, sleep, repeat” vacation, then there are two Aggressor Fleet vessels for you. Okeanos Aggressor I and Okeanos Aggressor II are the only liveaboards in Costa Rica offering trips to Cano Island. There are so many incredible dive sites located around Costa Rica, if you have one that hasn’t been mentioned on this list, please let us know about it in the comments below. I made a copy of the report released by the Associated Press saying that the scientist (never say what their names are) are trying to save the coral reefs. The report says that almost half of the coral reefs are dead. Does any body have a conformation on that?